Great Escape 2 must start now! After a fortnight of turmoil at the Hawthorns, Albion return to Premier League action with a crucial home game against relegation rivals, Huddersfield Town. With many Albion fans seemingly having given up on survival and others calling for Pardew’s head, could three points restore some hope? If Albion are to pull off another Great Escape, a win this weekend is surely a must. The Baggies go into the game on a run of four straight defeats, two of them at home to Southampton, while the Terriers lost at home to Manchester United in the FA Cup last weekend but thrashed Bournemouth 4-1 at the Galpharm Stadium in their last Premier League match. Their record on the road, however, is almost as bad as Albion’s with just two league wins away from West Yorkshire, the last of which was a 4-1 win at Watford in December. After that result, David Wagner’s men went on a run of eight games without a win in the Premier League, including a run of five straight defeats that was only ended with that win over Bournemouth a fortnight ago. Those three points lifted them out of the relegation zone and is the sort of result that could start a revival, and is exactly what Albion are looking for this weekend. I said in my blog on Wednesday that I believe Pardew could have done much worse than give the captaincy back to Chris Brunt, but he has decided that Jonny Evans will take the armband back this weekend. In my opinion, Evans should earn back the respect of his teammates and, perhaps more importantly, the fans before being reinstalled as captain. Many fans feel that he should not play for the club again, let alone be captain, so I don’t think the decision to reinstate him will be popular. As for Gareth Barry, his performance against Southampton was as bad as I’ve seen, and I would not like to see him in the team on Saturday. I suppose that one thing we should be careful about is that a lot of our feelings about the “Cab Four” are based on newspaper reports as to what happened on that night in Barcelona. While there does appear to be a fair amount of corroboration, the club has only so far stated that they broke a curfew and the Spanish authorities are not currently pursuing any further action against those involved, so it could be that the incident has been blown out of proportion – it wouldn’t be the first time. Pardew’s actions so far seem to suggest that he does not consider it to be that serious, and the club’s investigations seem to have concluded with maximum fines but no further punishment. The club know more than the rest of us, so either they are playing it down because they feel the players (or some of them) are too valuable to dismiss, or they feel that their actions do not warrant more severe sanctions. I suppose one other possibility is that the absence of any further police investigation or evidence, they may not have scope to do anything more without running the risk of legal action from the players themselves. I’d like to see Sam Field replace Barry on Saturday, but if Pardew is considering a change, he may prefer to rely on the experience of Yacob. The Argentine did not impress in his last start, against Southampton in the league, and Field will surely be more mobile and may work well alongside Kyrchowiak. Matt Phillips was another that has been struggling for form of late and, given how well McClean performed last weekend, I would like to see the Irishman keep his place. Although he and Brunt are both left-footed, I would not be averse to seeing both in the side with the ability to switch wings to mix things up. Up front, Sturridge is likely to be ruled out so Rondón and Rodriguez will no doubt continue, while at the back, Gibbs is over the illness that kept him out of last week’s cup tie so I expect to see him in what has become Pardew’s regular back four with Evans, Hegazi and Dawson. For the visitors, they will be without influential midfielder, Aaron Mooy, who has a knee inflection but he could be replaced by former Albion loanee, Alex Pritchard. The England U21 midfielder spent the second half of the 2015-16 season on loan at the Hawthorns from Spurs. Tony Pulis gave him little opportunity as he made only three substitute appearances before moving to Norwich that summer. He did reasonably well at Carrow Road, scoring 8 goals in 43 appearances, and joined Huddersfield in January this year. He made his debut against West Ham and impressed in the home win over Bournemouth, scoring one and winning a penalty. I’m sure he will have a little extra motivation to impress at a club that gave him little chance to do so two years ago. Albion’s last home win over the Terriers was thanks to a Lee Hughes hat trick, which dates it somewhat, although this will be only Huddersfield’s third visit to the Hawthorns since then. That cam during a period in which they spent six seasons in the second tier before suffering relegation in 2001. 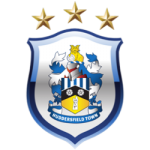 It was in April 2001 that they earned a point in their most recent league visit to the Shrine when Andy Booth gave the Terriers an early lead only for Jason Roberts to level for the hosts. That point that guaranteed the Baggies’ place in that season’s play-offs, and was useful to Lou Macari’s team, but a home defeat to Birmingham City, who went on to win the play-offs, on the final day ultimately sealed their fate. That Hughes-inspired win ended a run of seven meetings without a win for the Baggies against the West Yorkshiremen during the 90s, a run that included two wins for the Terriers at the Hawthorns. They won 2-1 in 1995 when three goals in four minutes not long before half time saw Bob Taylor give Albion the lead before the visitors responded with goals from Tom Cowan and Andy Booth. Two years later, Paul Dalton grabbed a brace as Peter Jackson’s Town left with a 2-0 victory. The Baggies biggest win over Huddersfield came in a top flight fixture in April 1938 when a pair of braces from Harry Jones and Sammy Heaselgrave, plus another from the great Ginger Richardson gave Albion a 5-1 win. The Terriers biggest win on Albion soil was under the great Herbert Chapman in September 1923. Billy Smith and Billy Cook both scored twice for that season’s eventual Champions in a 4-2 win – Stand Davies and Joe Carter found the net for the Baggies. The first meeting between the sides at the Hawthorns was in Division Two in April 1911 and Fred Buck scored the only goal of the game for the Baggies from the penalty spot. As an optimist, I have to believe that Albion will win this game. There simply is no other option.